An offset geometry specification for the feathered edge of a wiper. Normally the radius face of a wiper is machined relative to the tube cavity so that the feathered edge is located at the line of tangency — i.e., simple-sweep geometry. 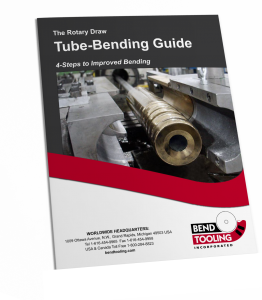 Although this produces a fragile feathered edge, this wiper geometry is desirable for most lower pressure tube-bending applications. 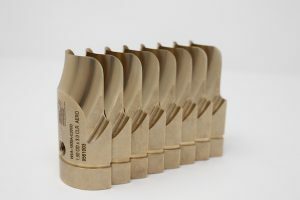 For higher pressure applications, the aero-cut reduces the fragility of the feathered edge by offsetting the origin of the radius face relative to the tube cavity so the feathered edge is located behind the line of tangency. The amount of the offset for the aero-cut is determined by the tube diameter and the centerline radius.